What happens when a society is run by people who are antisocial? Welcome to baby boomer America. Acting without empathy, prudence, or respect for facts - acting, in other words, as sociopaths - the boomers turned American dynamism into stagnation, inequality, and bipartisan fiasco. The boomers have set a time bomb for the 2030s, when damage to Social Security, public finances, and the environment will become catastrophic and possibly irreversible - and when, not coincidentally, boomers will be dying off. Gibney, whose 2011 essay "What Happened to the Future?" transfixed the investment world, argues that younger generations have a fleeting window to hold the boomers accountable and begin restoring America. 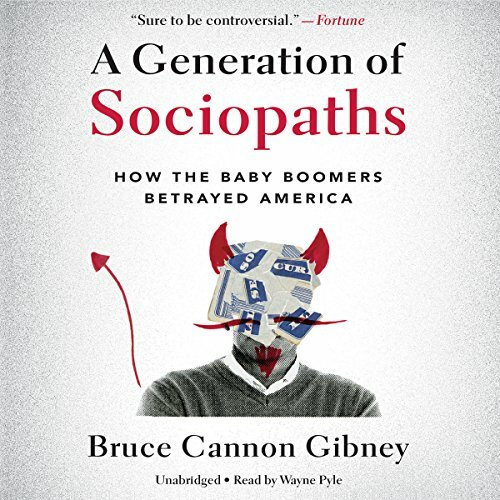 Distilling deep research into a witty, colorful indictment of the boomers and an urgent defense of the once-unquestioned value of society, A Generation of Sociopaths is poised to become one of the most controversial books of the year. 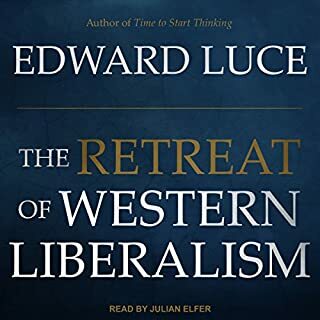 The content in this book is well presented and mostly well researched (Outside of a few notable political aspects the the author seems purposefully ignorant on due to his own viewpoint. ), but my primary complaint is summarized to: Inconsistently Engaging. The very beginning of this book, the history and creation of the Mother of All Evil: The boomer, is very entertaining and sets up the thesis very well. That thesis being that we have an entire generation of Americans who trend significantly towards sociopathy. The author outlines his data points that demonstrate sociopathy, and pairs that with theories about upbringing that may have aligned these people in such a way. The middle sections, which are dedicated to highlighting the political and institutional power that this generation has wielded (for a demonstrable "out of the ordinary" length of time) explains why their seemingly bizarre logic and decision making actually does make some sense through the lens of selfishness, short-term thinking, lack of empathy, and other sociopathic traits. For every well explained example of sociopathy, the author, unfortunately, stumbles elsewhere and fails to convince. Alternatively, he fails to keep attention consistently... especially in the last third of the book. I can't tell if it's the reading (which I generally enjoy, but is somewhat monotone) or the inability to go back and re-read to fully digest what was said, but I found myself zoning out and missing the information for 2-10 mins at a time. 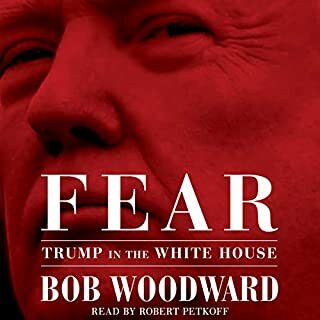 There will be hints of intriguing and convincing information presented, but then it's followed by a set of boring reiterations, continuing to "prove" a point that already seems proven, or taking a short aside to postulate on current politics from the author's point of view. The most egregious of these instances pop up when the book hand-waves away some kind of political theory, or a specific person's platform, with little respect or regard. Your mileage will vary on how offensive it is to you, since I fully support doing this for someone like Trump, but I have also removed 1 star from my overall score because of a particular paragraph where the author goes out of his way to misrepresent and misunderstand Bernie Sander's platform. It seemed like he was just waiting to tell us his true feelings on the politician and couldn't help but slip his "deathblow" (a single interview that the author has erroneously taken as the entirety of Sander's plan and platform) into the book that is supposedly about a set of Americans that actually came AFTER Sander's own. The whole thing comes off as Bruce Cannon Gibney buying into the character assassination that the Neoliberal DNC pushed so strongly during the primaries, yet Bruce claims that Neolib Boomers are just about as bad as their right wing counterparts. This particular section stood out to me as a very strange aside in a book that, sometimes to the detriment of proving it's own point, was otherwise extremely single minded in it's focus. 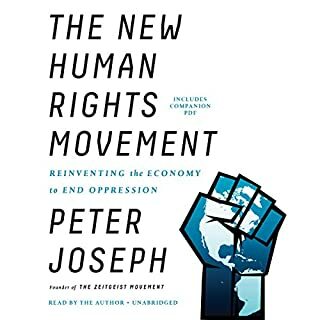 Overall, the data in here is interesting and he's helped me reinforce my existing observation that that older ruling class is NOT operating at a normal level of empathy or humanity. But the book itself, as something that should be worth your time, somewhat fails. 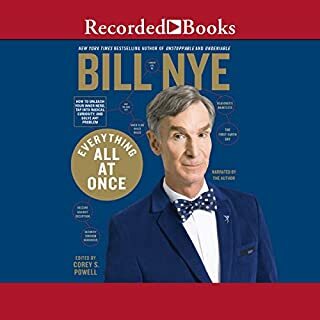 I'd almost rather listen to the first 3-5 hours, then read the cliff notes and data points for the rest of the book rather than sit through the remaining 10 or so hours. Near the end, I found myself just playing the book while I was working or doing something else, just to get it over with so I can move on to something else. As such, I cannot fully recommend the time investment here, although I do endorse most of the persuasive arguments. If you're a Boomer, this is truly enlightening as to just how self-serving and destructive our generation has been. I'm ashamed of us. I think most of us will be in denial. Elaborate and funny but biased and sociopathic itself. it provides a very comprehensive list of the ills that have been inflicted on the population, finding a very convenient scapegoat. while the author made some interesting and statistically supported points, he then beat them into the ground. A great look at what has lead to the current state of America. Uses factual information to expose many lesser known evils of Boomer policies, no matter the political affiliation. It also forces younger generations to acknowledge the unbalanced benefits we enjoy and how woefully unsustainable they actual are. 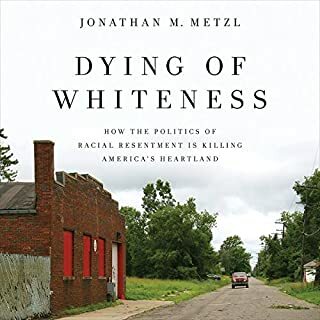 Personally, this book has inspired in me a sense of duty I never had before to work to prevent my own backsliding, and clarifies the sacrifice I must accept if I want to see America moving in a less detrimental direction. This book lays out facts and ties them all together of how the worst generation in American history leveraged the future of the country at the expense of future generations. An important book to better understand the circumstances we find ourselves in today because of personal greed. there's an idea there... but! This is a curious case. Yet another person finds that something is utterly wrong with our socity, but what is it? Well a quick detour is in order. Upon my first reading of DSM V I developed a bit of a hobby of armchair psychiatry, deploying newfound knowledge everywhere with reckless abandon. As fun as such exercise is, it is hardly scientific; but to try to do it on a scale of population cohorts, as tempting as it is, I'm sure, is sheer lunacy. Especially given how much DSM V emphasise the individual patient difference. And thus is the main flaw of the book, the author tries to cram his arguments to fit the description of a mental disorder. A metaphor gone too far takes over the narrative. Yet, if that flaw can be put aside, and that takes quite an effort, mind you, many gems can be found in this book. There is however a great irony here, since the DSM V was in fact a rather questionable tome written in no small part by pharmaceutical industry it is surprising that the author does not make any reference to altering the water supply. On the other hand, I find the whole thing rather questionable since if he ignored all the flaws of DSM V while trying to cram the content of the book into a diagnostic model prescribed by it, one can't stop and wonder about the quality of the rest of the evidence. 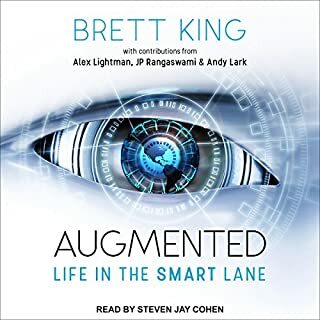 Excellent premise, very well argued using (relatively) easy to follow, data-driven analysis of the entire Baby Boomer "life cycle" and it's/their impact on society. I'm convinced, as I think anyone reading will be. I was sometimes amused but also horrified with his baby boomer analysis . His answer to fix their "sociopathic" destruction of America is gross. Cut the welfare state but not the enormous military budget? Tax the middle class and poor but not the rich and corporations? I guess just handout bootstraps? I think what it is great about this book is how research and empirical data has been used to support deeply opinionated views. It is norm in the use of the scientific method to veer away from bias to ensure that the research and work undertaking is considered based on the data and not on the biases of the author. I strongly believe that the reason why "spin" and other forms of discrediting facts to justify behaviour is become easier due to the noble and professional attitude of researchers to state only what the empirical data shows. Research in social and economic sciences is more bias and there tends to be disagreements between authors on the way data is been interpreted. It is really refreshing to see how the author's blunt opinions do not seem to descend into statements of fact that cannot be challenged. In my opinion the Author has been as thorough as possible to support his views with empirical data and it seems to be challenging society/readers to get involved in fixing the issue. What I find refreshing is, the bluntness with an open and positive attitude to engage in dialogue and promote debate, to elevate the discourse of how to fix the problems of the future and to give a good example of how "experts" and thorough research should be embraced in politics. I am not from the USA and not a boomer but I can see in my own life experience how "boomer" behaviour is percolated society and it has been passed on to some extend to younger generations. On a personal note, I have been thinking for the last few years how the western world has lost its "MOJO" and how the "values" that everybody talks about are no longer practiced. This book is helped me pin point what "boomer" behaviours or entitlements I have inherited and will modify to ensure I take responsibility in ensuring I don't pass on to the future generations unnecessary burden. I think as Bruce eloquently puts it, society is worth the effort and rather blame or punish "boomers" I will use this book as a learnt experience to live within my means and preach by example to pass on this important message. We have all benefited from the scientific, medical and technological advances the world has produced up to the end of the 20th century. This advances have been made mostly by governmental, altruistic and personal investment with the goal of discovery and understanding the world we live in. If current "values" of profit at all cost, greed and reduction of taxes and state were prevalent in the early 20th century they world we live in would be very different indeed. This book will be influential for years to come. Well written, thoroughly researched and argued with compassion and good humour. This book explains much about the modern state of western economies and the infantile behaviour of our political leaders. It’s hard not to see this book picking up a growing readership in years to come. I have already recommended it to all my friends.